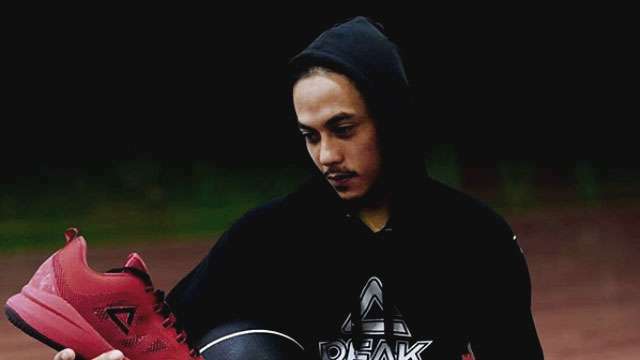 If a foreign shoe brand had to pick one local basketball player whose marketability it could trust, the obvious choice would be Terrence Romeo. The GlobalPort Batang Pier guard and national team member is arguably one of the most popular ballers from the Philippines. All eyes were on Romeo when he put Gilas on his back against Korea at the FIBA Asia Cup. SPIN.ph reports that Romeo had already worn the sneaker during a game against the Blackwater Elite and in practice. A teaser of the model was also seen on Peak's Facebook page last week. Its official release has yet to be announced, but the TR7 marks the first time an Asian baller got a sig from the company, which has NBA stars Tony Parker, Dwight Howard, and Matthew Dellavedova in its fold. With the Bro's reputation as the deadliest scorer in the game, Peak sure made a wise business decision.